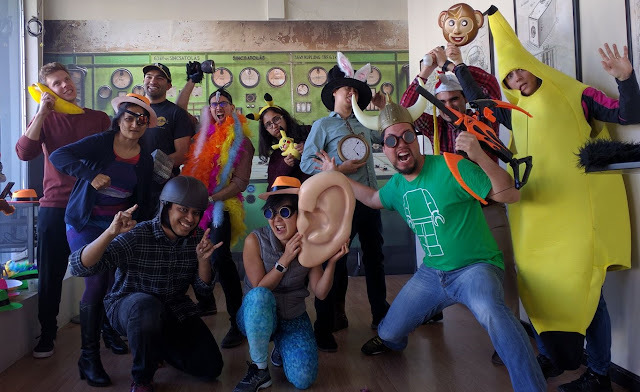 Here are our top escape rooms for the following areas: San Francisco, Los Angeles, Phoenix, San Diego, Seattle, Sacramento, Las Vegas, Toronto, Montreal and more. Our ratings are quite different from what you would find on Yelp!, TripAdvisor or other blogs where almost all rooms, regardless of quality, receive 4-5 star ratings. A "★★★" rating on Escape Rumors is worth playing so it is comparable to some 4 or 4.5 star review on other sites. ★★★★★= Wow! Go play this room now! *The environment should make you feel like you are in a movie and not in a decorated office space. Decor is important to establish believability of the theme. **Puzzles can be explicit (comes with instructions) or implicit (figure it out with riddles). Puzzles can also be physically embedded in the room (moving a prop opens a hidden door...) or independent from the room (sudoku, crossword puzzles...). There are also the "aha" types of puzzles which are quick to solve and process driven puzzles which take some time to do, usually following instructions. ***With all else equal, escape rooms that allow for private bookings with a minimum number of players are more enjoyable then public rooms that allow for overcrowded bookings. Rarely are rooms filled to the max capacity as enjoyable as smaller groups. For those who have played a few rooms already, the rule of thumb is that half the max capacity is the optimal number of people to play with. The ratings of our rooms are based on the number of people that we played with indicated in our reviews. Rooms that were overcrowded with strangers have a lower rating given, on average, each player only gets to do a 1-2 puzzles. In our reviews we also note the how advanced the rooms are in terms of automation. While technology is not a determining factor in ratings, it can heighten the level of immersiveness of an escape room.